The free applications provided on this website come with no warranty or official support - I will try to help with any bugs or issues that people report when I get chance but this is not in any way guaranteed. I cannot be held accountable for any loss of data that occurrs as a result of using these programs, you use them at your own risk. Paid for applications will be supported according to the EULA provided with each application. 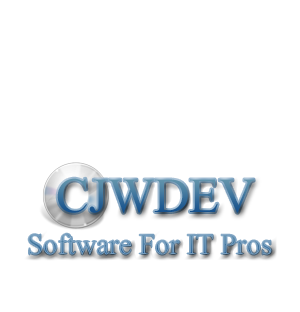 Copyright (c) 2013 Cjwdev. All rights reserved.